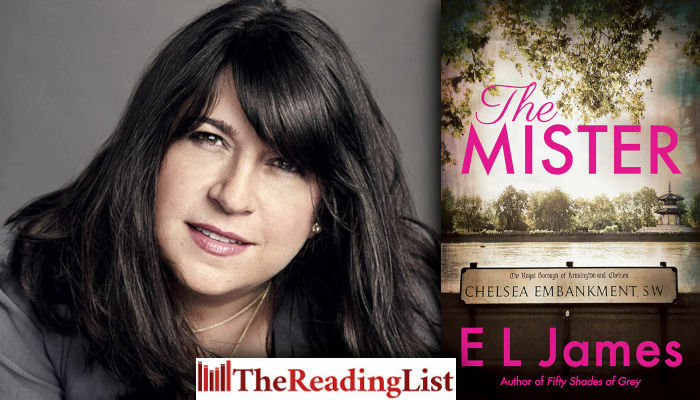 Read an excerpt from The Mister, the thrilling new romance from EL James, author of the phenomenal number 1 bestselling Fifty Shades trilogy! The Mister will be published on 16 April 2019. Alessia opens the door but freezes on the threshold of the room. Fast asleep facedown and sprawled naked across the large bed. She stands, shocked and fascinated at once, her feet rooted to the wooden floor as she stares. He’s stretched across the length of the bed, tangled in his duvet but naked … very naked. His face is turned toward her but covered by unkempt brown hair. One arm is beneath the pillow that supports his head, the other extended toward her. He has broad, defined shoulders, and on his biceps is an elaborate tattoo that is partially hidden by the bedding. His back is sun-kissed with a tan that fades as his hips narrow to dimples and to a pale, taut backside. His long, muscular legs disappear beneath a knot of grey duvet and silver silk bedspread, though his foot sticks out over the edge of the mattress. He stirs, the muscles in his back rippling, and his eyelids flicker open to reveal unfocused but brilliant green eyes. Alessia stops breathing, convinced he’ll be angry that she’s woken him. Their eyes meet, but he shifts and turns his face away. He settles down and goes back to sleep.